We have two rooms. They are located on the second floor, on the north side of the building, facing the lake. 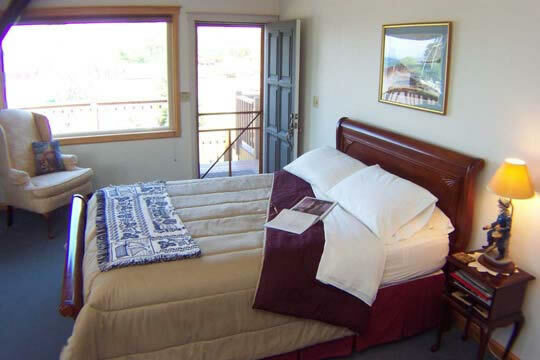 The rooms have their own private entrance off of a large deck, overlooking the harbor and lake. 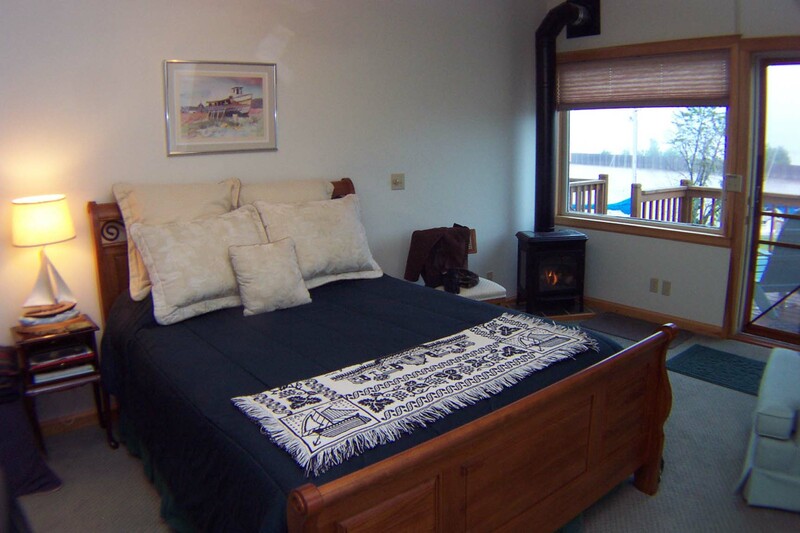 Our spacious rooms feature queen size beds, gas log fireplaces, private attached bathrooms, tv/w dvd player, in room movies, refrigerator and a panoramic view of Lake Superior. There is also a dormer with table and chairs in each room, where you can enjoy a full gourmet breakfast served directly to your room in a large wicker basket. Relax in solitude or browse the marina and local gift shops. Take a walk on the beach or stroll up town. Enjoy the sunrises and sunsets from your rooms. © 2015 Siskiwit Bay Marina, Inc.